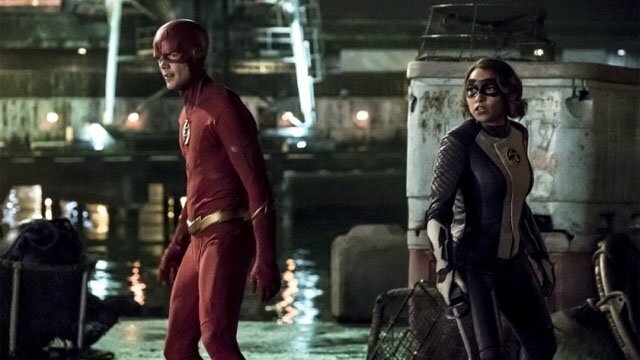 The Flash Season 5 Episode 2 Recap: "Blocked"
Last week on The Flash‘s fifth season premiere, Barry and Iris met Nora, their grown up daughter from the future who claimed to be stuck in the past. However, Barry eventually deduced that Nora was intentionally delaying her return home to spend time with him. Nora confessed to the truth, and she showed Barry evidence that he never returned even 25 years after his disappearance during a Crisis. Together, the father and daughter duo took down a minor villain named Gridlock. Some time later, a police convoy was attacked by Cicada, who had come to kill Gridlock and all metahumans. 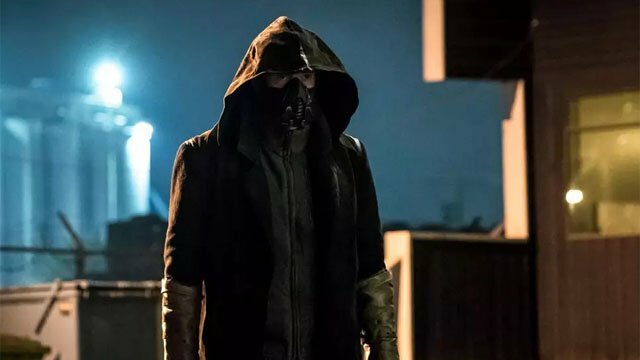 In The Flash season 5 episode 2, we got our first real glimpse of this year’s big bad. Through a flashback sequence, we see that Gridlock didn’t go down without a fight. He even managed to injure Cicada, but the lightning shaped dagger stole Gridlock’s powers and soon after, his life. Cicada unmasked and removed his costume in a locker room, and he seemed to be ready to kill his co-worker if his secret got out. However, the other man was ignorant of Cicada’s extracurricular activities. Later, Iris began investigating Gridlock’s murder, and she interviewed one of the cops who survived the attack despite massive suffering massive injuries. A new meta named Vanessa confronted her former criminal associate and used her powers to crush him into a tiny cube. While Barry was investigating the crime scene, Nora introduced herself to Captain Singh as the new CSI intern. Barry covered for his daughter’s lies, in part because she really is a CSI tech in the future. But her inexperience with modern crime scenes quickly resulted in a blunder when she handled the remains of Vanessa’s victim without gloves. 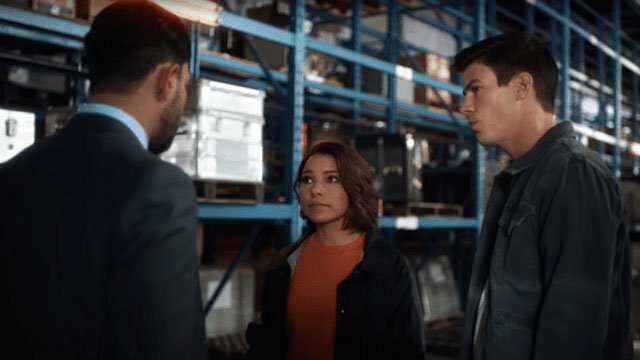 When Barry and Nora confronted Vanessa, she trapped Nora in one of her cubes and nearly seriously injured her. Barry was able to rescue his daughter, and he privately complained about her over-zealousness to Joe. In turn, Joe drew a parallel between Barry’s childhood eagerness to impress him and Nora’s relationship with her father. 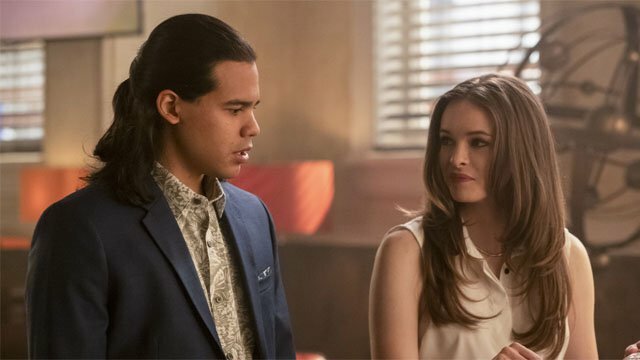 Ralph’s investigation into the fate of Caitlin’s father hit a snag, so he asked Cisco to vibe the death certificate. However, Cisco wasn’t able to focus on anything other than his breakup with Gypsy. So, Ralph made it his personal mission to help Cisco get over his ex. That process included giving Cisco a complete style makeover. But the thing that really helped was a simple realization: If Gypsy had been the love of Cisco’s life then they would have still been together. Caitlin also seemed oddly reluctant to continue looking into her father’s fate, and she eventually confessed her that he didn’t want anything to do with her. Cisco helped her face that fear, before his vibe gave Caitlin a vision of her mother forging her father’s death certificate. A rematch with Vanessa went far more smoothly for Team Flash, as Nora was able to make up for her earlier mistake. Almost immediately after securing Vanessa, the heroes were stunned when Cicada appeared and threw a knife in her chest. Nora raced Vanessa to a hospital, while Barry, Cisco, and Ralph prepared to confront Cicada. However, his lightning shaped knife stripped the heroes of their powers, and that left them helpless against him. Cicada even came close to murdering Barry, before Nora returned. Inexplicably, Cicada didn’t try to drain Nora’s powers and he retreated. Back at STAR Labs, the team realized that Cicada was behind Gridlock’s murder. Now they have a new mystery to solve as they search for a way to stop their latest villain. 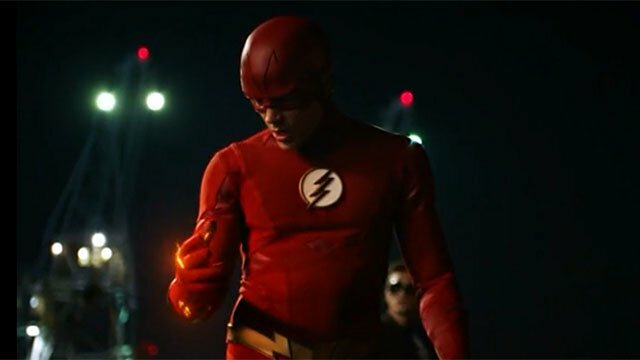 What did you think about The Flash season 5 episode 2? Let us know in the comment section below!